Atascadero City Manager Wade McKinney probably isn’t feeling very gay this holiday season after getting some straight talk about a looming and large payout of taxpayer money to settle a police department dispute. McKinney, who heads SLO county’s most litigious city, learned recently that a mediator’s decision that favors Police. Lt. Carole Robinson will cost the city heftily, according to well-placed city sources. on the force. Robinson, with more than 20 years under her belt, is the department’s longest-serving officer and has maintained an unblemished record. Interdepartmental bickering over the promotion escalated between those who contended Robinson was not involved in her partner’s promotion, and a group of white male officers who alleged discrimination. When McKinney hired new Police Chief Jim Mulhall earlier this year, Mulhall was instructed to start an immediate internal investigation into the matter, sources said. Mulhall eventually ordered either of the two alleged lesbian officers to resign. Neither complied and Robinson retained an attorney. A November 11 mediation to discuss Robinson’s situation resulted in a favorable ruling for the female officer, so city taxpayers are slated to fork out a sizeable sum for McKinney’s and Mulhall’s pricey lesson on lesbian litigation. Sources could not provide details of the amount involved. Nor is it clear if Robinson’s partner, Sgt. Tiffany Ayles, is planning to file a claim against the city, though she has retained attorney Louis Silver to represent her. In typical Atascadero style, mum’s the word. Neither Mulhall nor McKinney returned requests for comment. Police department officials won’t say if the two female officers involved in the dispute are back at work – after spending more than three months on paid administrative leave – or if the pair will ever return to active duty. ahhhhhhhhhhh a perfectly manicured lawn….in Green. As a retired professional writer and editor of technical publications and as a recognized expert in technical subject matter, I'm a little curious. Did "atownproffesional" obtain his expertise in mis-spelling "professional" at Cal-Poly SLO? 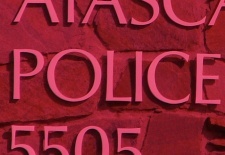 Are "atownproffesional" and the APD trying to imitate the Keystone Cops? In my experience a person has to prove damages to receive compensation. What damages did they have? Neither officers lost any pay that I'm aware of. Also domestic partners have all the rights that married partners have. When one benefits financially the other also generally benfits. This has nothing to do with prop 8. Karen when you are trying to write a news "style" article it is important to use facts. I have notice your "style" of news writing is almost completly devoid of facts. Facts are used in news "style" articles by using quotes and telling the reader the source of your information. You may get a shred of credibility if you adopt a more realistic and factual writing style. This has absolutely nothing to do with Prop 8, which incidentally will be overturned soon enough. Prop 8 has been voted on and decided. It has been decided twice now. It's time to move on and get a life outside of whimpering about something that is not the will of the majority. Get used to it, everything does not always go your way. Paso Guy. You can see that you can't have it both ways, yes? Favoritism can also be alleged when "the guys" go out for drinks after a hard day, and then one promotes the other. The questions are: it is favoritism to promote someone you know? If so, where do you draw the line. Was there favoritism here? It looks like some powers that be say no. If one promotes a spouse is that favoritism? I think that is a clear yes. Are roommates who may or may not sleep together spouses? Not unless they are legally married. Were these women legally married? Appears not. Were they domestic partners? I don't know. Are domestic partners the same as married. The law says not. What it the issue here? There are two. A moral question and a legal question. It does appear, from what I have read, that transparency was not offered clearly and consistently by either of these two women. We can judge that morally. It does not appear that they broke any laws. We might wish there were laws they broke, but they are not legally married. As I said, we can't have it both ways. It's illogical. My opinion, since that is the question above this box is that Ms. Robinson should have had the promotion approved by someone other than herself alone, and it may be that she did just that. My opinion is that when asked about the nature of her relationship with Ms.Ayles, she should have been honest. Maybe she was. Maybe they were broken up, considering it, have an open relationship, never considered themselves married or in conflict with the law or the spirit of the law, maybe they just didn't care. Who knows. They do. They're not talking publicly and we'll never know. Cure? Clarify police department policy to reflect the nature of the variety of relationships and living arrangements so that the "spirit of the law" becomes the law even if only a law internal to law enforcement structures. Assume that the two are married with full rights as you call it; it dosen't change the meat of the case…favoritism alledged. Weather they are gays or a married couple, their marital status is a moot point. My advice is to not get hung up on the prop 8 defeat, it will melt your brain if you let it. Karen. Please tell us why there is to be a payout to one of these two women. They are on paid administrative leave, yes? Is the payout to pay for Robinson's lawyers? For some kind of duress? Why should she profit further from this? What I will say is so long as we deny gays and lesbians full rights, they will win cases such as these. Can't have it both ways, folks. Why does Wade McKinney still have a job? Well, what do you expect with clowns running the department and the city? We have another bozo that cost us over 600k due to his small man's complex which led to his eves dropping on some of his minions. People who are getting well over 100k dollars per year in salary should not be making the bone-headed moves that these guys do.This is the sort of stuff you'd expect from minimum wage earners, not so-called professionals. So, how much is a "sizable bill"? Is this only news if the amount exceeds $100k?